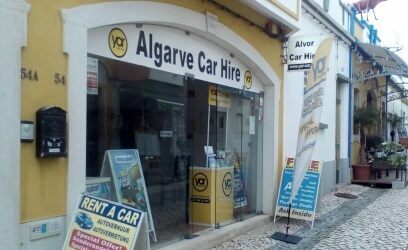 Alvor Car Hire by Yor, The Cheapest It Can Get! Alvor is our home town and we do all our best to provide the highest service quality and lowest prices for renting a vehicle in Alvor. So we suggest to rent a car in your budget in Alvor, see all around this lovely city and drop it there or in any other city in the Algarve, we have offices or agents at nearly all cities. Just ask any queries and we love to help. This former fishing village has a lot to explore, so make sure you do not miss out any thing, hire a set of wheels and discover Alvor beauties. We offer one of our lowest car delivery costs for Alvor city which makes our prices one of the lowest. Driving in Portugal is enjoyable experience, the roads are not very crowded in the Algarve and it is well sign posted. So you just need to rent a car from Yor Car Hire and you have the freedom to get out and explore this wonderful coastline of Alvor. You will get a car rental in Alvor from as low as £7.3 per day including both delivery and pickup to/from your hotel, unlimited mileage, third party cover, fuel and many more discounts! Unlike our competitors, our car rental prices for Alvor is the same as our Faro airport prices with added a small fee to deliver your car to your hotel door. This is the most convenient and cost-effective way of getting around in Algarve. www.yor-car-hire.co.uk offers excellent value for the money, we offer a large range of vehicles at some very competitive prices, on top of that we offer a price match for unlikely cases that you find a price better than ours to rent a car in Alvor, just ring us or drop an email, we will match the price. This is one of the services that our customers like the most. For as low as €15, that is included in the quote (no hidden charges!) we will deliver your car to your hotel or any other address in Alvor city. None of our competitors have such service which makes our prices the best! Our agent in Alvor will arrange the delivery and pick up for your convenience, you just focus on enjoying every moments of your holiday. If you reside at Hotel Alvor baia, Pestana Alvor Praia, Hotel delfim, Hotel D. Joao II, estana Alvor Atlantico, Luna Alvor Bay, Yellow Alvor Garden, Pestana Alvor PArk, Prainha Club, Pestana Alvor South Beach or any other hotel in Alvor we will deliver your rental car to your hotel door. As a local business we are passionate to make your stay in Alvor as pleasant and cheap as possible. Therefore we are constantly in contact with local businesses in Alvor to find you the best discounts, we usually offer you our own commission just to keep our customers happy. In addition to those we have offers for all Algarve like the 25% discount on online booking. Please see the below to learn about all offer we have for Alvor. Alvor beauty and what to see there in endless, here we try to just give you a taste.